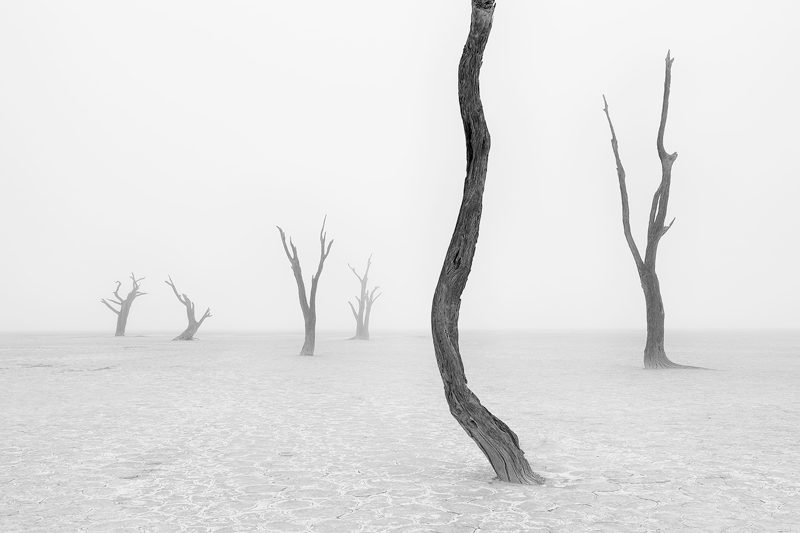 Dead camel thorn trees in Deadvlei, Namibia. Shot in rare foggy conditions. Third Prize in the International Photography Awards (IPA).